Architectural Focus: modern and classical townhouses (terraced houses in UK) completed with design descriptions, layouts, CAD resources and 3D models ready for download. The BibLus know-how blog regarding architecture technologies and software presents the first of a series of in-depth articles. In this issue, we’ll be taking a look at this ‘Townhouses‘ project dedicated to this particular building typology. We’ll focus on the technical characteristics of the different building types starting from the most common; a detailed analysis of individual projects among the best known works of various worldwide known famous architects. Each topic will be enriched with images, renderings and technical drawings (plans, elevations, cross-sections) reproduced in .dwg CAD file formats and available for download. 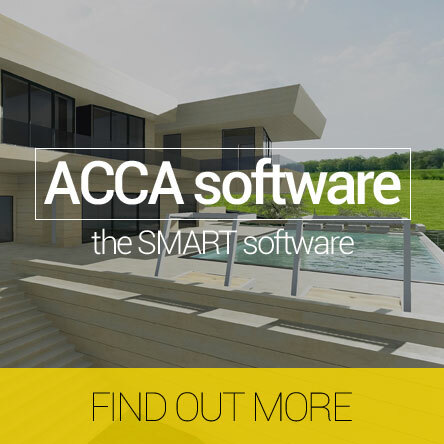 In most cases, we’ll even go through a design exercise specific software solutions: for some of these projects, we’ll be providing short videos in order to the construction methods used in the BIM model. 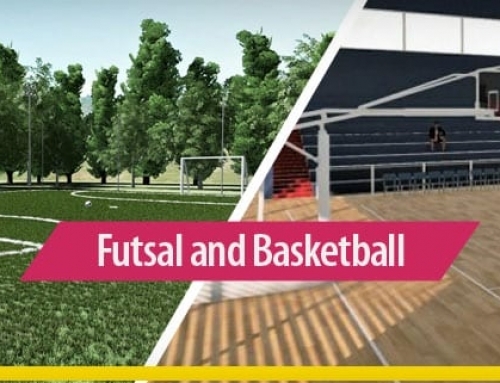 And finally, thanks to virtual reality, users can even navigate within the project, using the shared viewing possibilities offered by this technology. So let’s start from this widely used construction typology, what elements are used to characterize them and what elements are used to evaluate the design process. This then leads us on to focusing on the details of some examples of famous classic and modern townhouses re-proposing technical solutions and renderings. Here are the 3D BIM models, modelled with Edificius and also exportable in IFC format, containing all the project deliverables (floor plans, elevation views, cross sections, etc) of some of the projects mentioned above. generally characterized with a narrow front to gradually grow in depth and height following the floor levels and a small garden. The standard unit (which is the intermediate unit and not the head unit) is placed next to 2 other cells arranged along the sides. As a building typology, townhouses are suitable for an extensive use of the territory, ie areas with a low building ratio index. Historically, terraced houses have been the building element that has most characterized the expanding of medieval cities: their development is due to the formation of classes of craftsmen who built their homes along access roads forming villages, linear settlements adhering to the route. .They are therefore created in response to the constructive and functional needs of those sections of the population: needs that can be summarized in the need to adopt a simple, economic and tested (therefore reliable) construction practice and to have space for productive and commercial activities, as well as a modest amount of land for the production of livelihood goods (the forms of self-production and self-consumption characterize the high-medieval period). Today they have been revisited to meet the needs of a detached house but with lower costs compared to the single house, both in production and maintenance. only two fronts, the front and the rear, in contact with the outside. 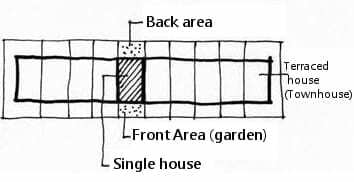 The typical form of terraced houses is rectangular in shape, similar to a parallelepiped. Generally, it has one side twice as long as the other. The housing units are flanked by the long side ( 10-12 m ) and the short side ( 5-6 m ) for lighting. The trend can be linear or even curvilinear. The construction of terraced houses in a straight line, however, can present the problem of lighting, with the exception of residential units at the ends that, precisely because exposed on the outside for three sides, could have more light than the others. For this reason, positioned side – by- side on split level methods are also used: the diagonal positioning of the modules, in fact, allow to solve the problem of the light of all the terraced house. 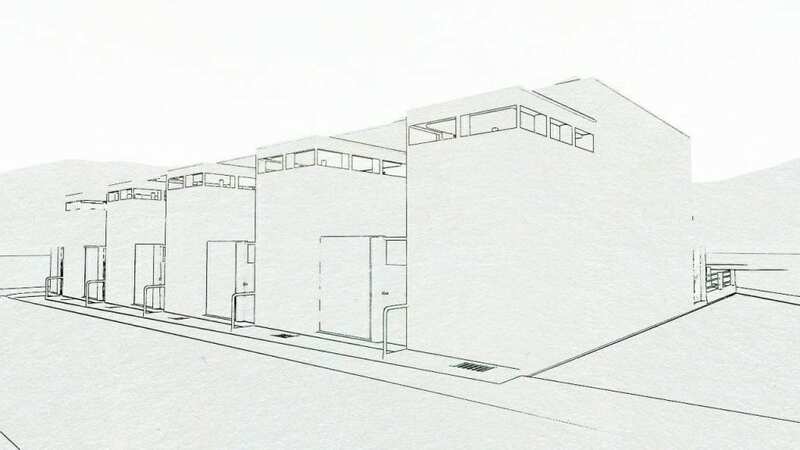 The single townhouses consist of single-family units articulated on 1 or 2 levels (duplex), more rarely on 3 levels; the aggregation between the individual housing units can be by combination or overturning. The two solutions give rise, among other things, to different compositional arrangements for the elevation views. 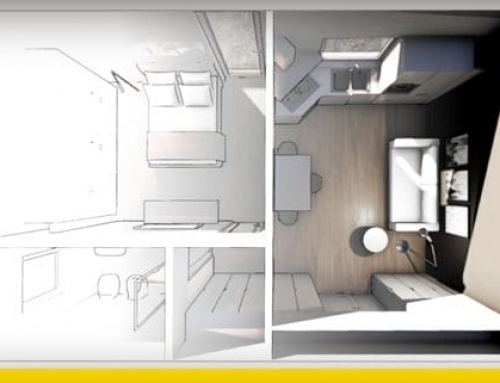 The aggregation by tipping allows to unify the vertical of the floor plans. In the case of duplex housing units (ie on two levels) the placement of the staircase is decisive for the distributive articulation: in this case it is more useful and convenient that the upper floor is baricentric compared to the depth of the housing to reduce the connective area. Townhouses are part of the garages, even if these are listed separately for land registry purposes. Compared to the morphology of the building, the classification criteria of the terraced houses are defined according to the ratio between housing and the traffic network (pedestrian streets, roads and car parks). an overall hypotheses in terms of housing unit organization can be taken into account including its position that can be processed and compared together with the sizing of the various activities, varying the ratio between the front and the depth of the dwelling, the number of views and the number of floors. 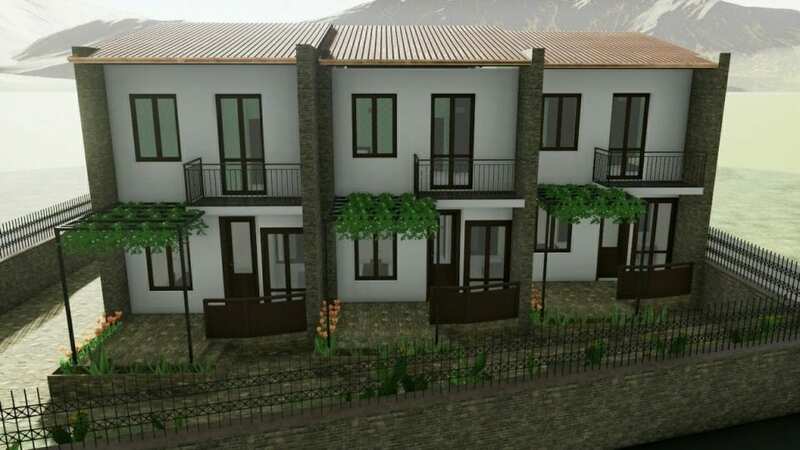 Example of townhouses on the model of those made in the INA Zisa-Palermo district – rendering produced with the Edificius BIM software. Let’s now move on to the internal organization of the housing unit. 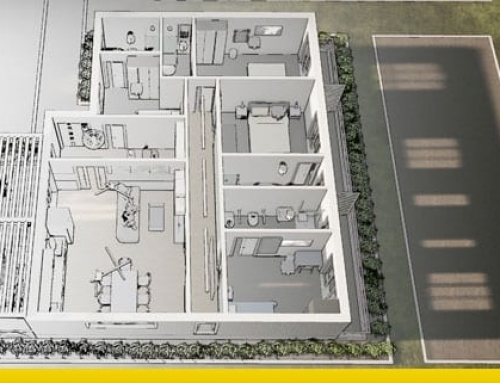 Normally there is the traditional subdivision between the living area (consisting of kitchen, living, dining and service rooms) on the ground floor and sleeping area (bedrooms and other services) on the upper floor(s). In the case of a third floor level, it can be used for additional bedrooms or for other specific rooms (study, library, hobby rooms). Particular problems may arise when addressing the position and the shape of the internal staircase for both distributive and constructive reasons. 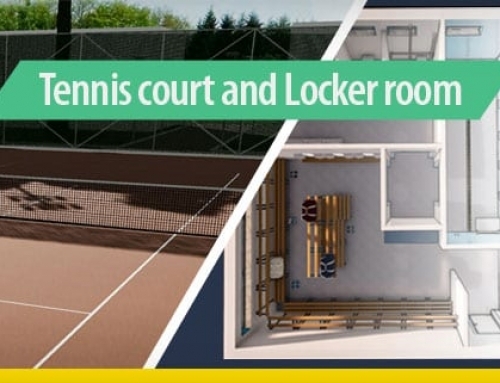 Usually the transverse partitions separating one housing and the other are used as load bearers, if the spacing between them is reasonable for the direct floor inter-connection purposes (between 3 and 6m). In this hypothesis, it would be appropriate to adopt a very compact solution for the staircase, or a straight ramp arranged in the direction of the floor or, for shorter beam spans, so as to simplify the realization of horizontal partitions internal (floors) in order to optimize the various openings. Another important variable for the definition of the floor plans is given by the garage. It can be external or internal to the main body. In the case of it being external, it can be detached or adjacent and connected. If it is internal, it can be placed in the basement, thus creating the problem of the access ramp, or more commonly at ground level, decreasing the habitable surface of the housing unit. This first article ends here with a virtual tour and based on the model produced with the Edificius BIM software of the townhouse built on the example of the Zisa district in Palermo.